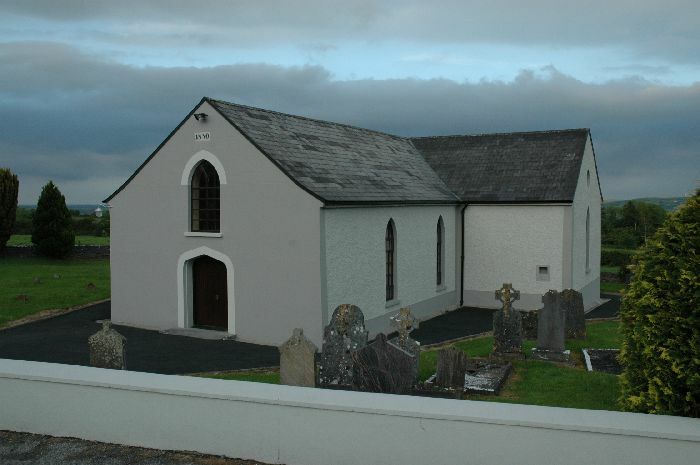 The present St. Cronan’s Church replaces much smaller and inadequate middle sized church buildings of the 18th & 19th century. 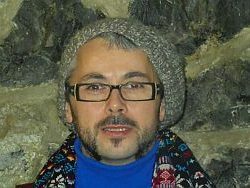 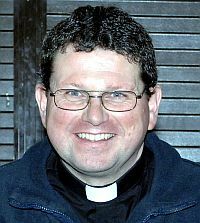 As early as 1843 parish priest, Fr. 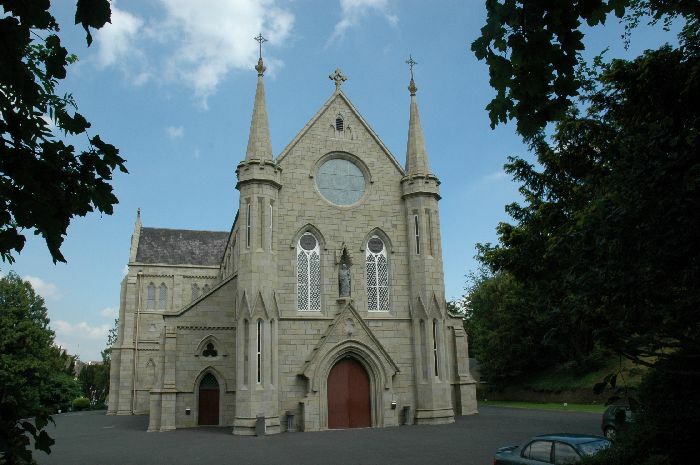 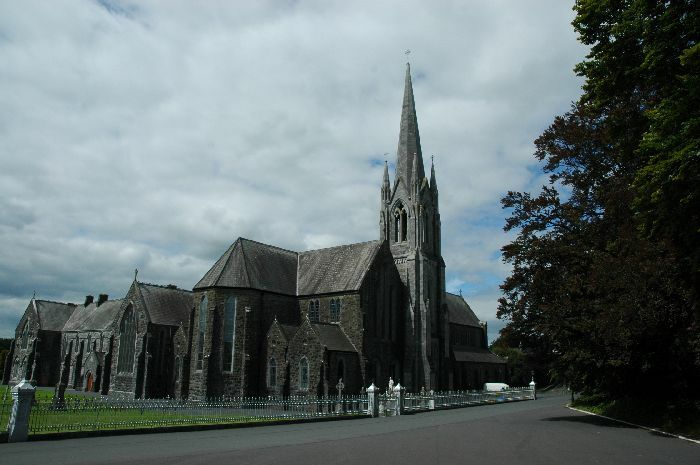 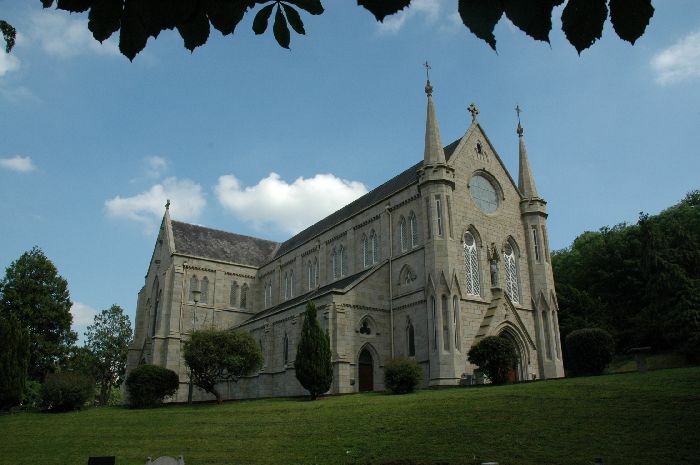 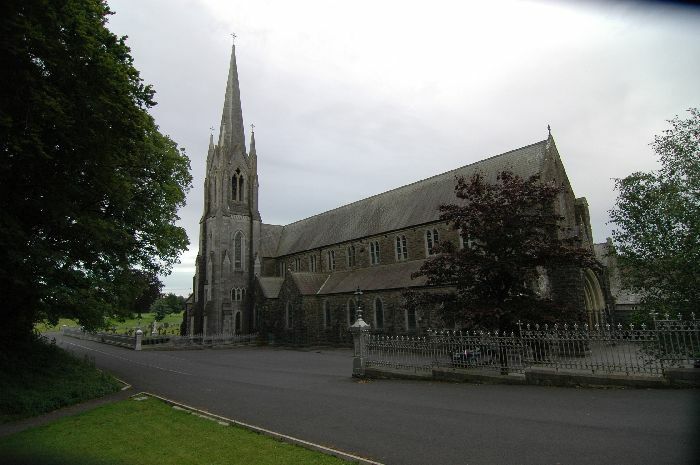 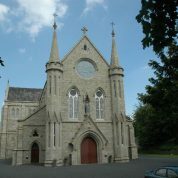 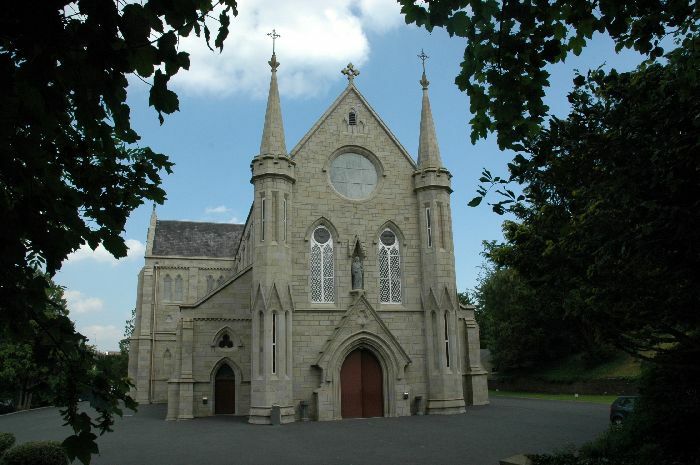 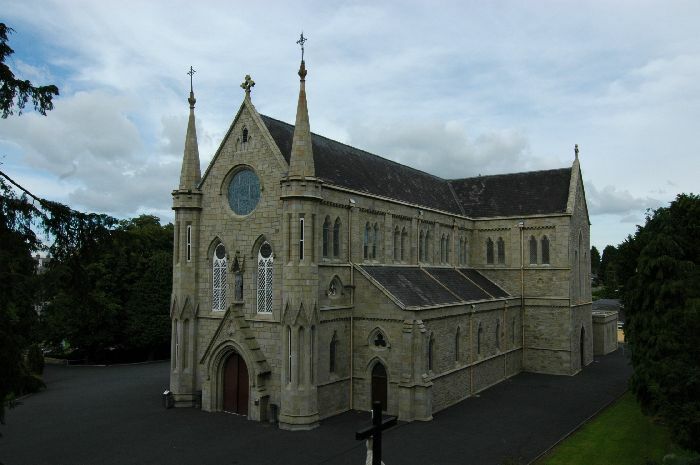 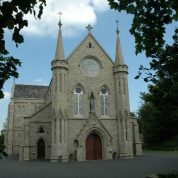 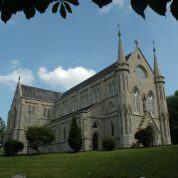 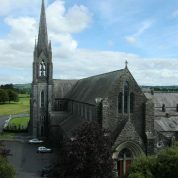 Blake, had begun to build a replacement church, the present St. Cronan’s which was designed by the well-known architect, William Deane Butler. 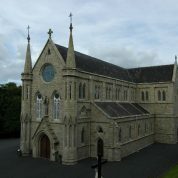 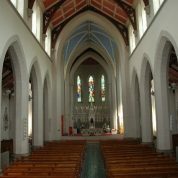 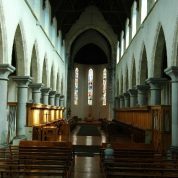 In 1846 the onset of famine caused the project to be shelved, and it was resumed only in the early 1850s when the building fund was replenished by a hugely successful fundraising tour undertaken in the United States by the Borrisokane curate, Fr. 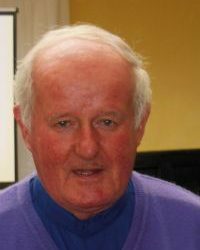 Bugler. 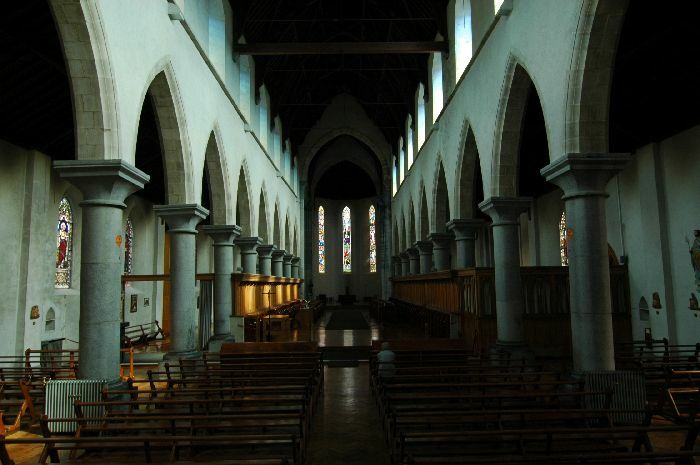 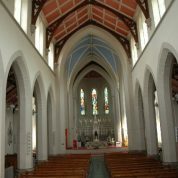 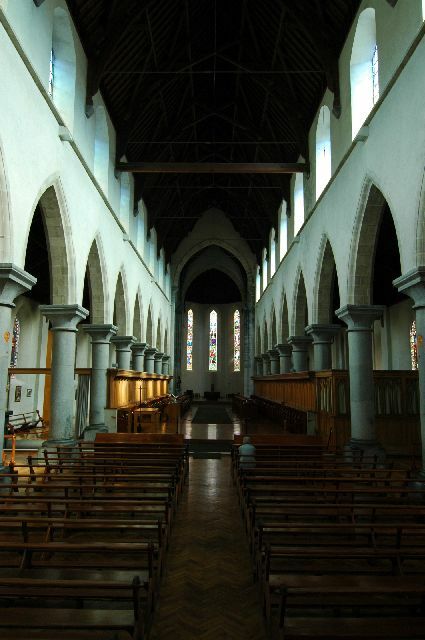 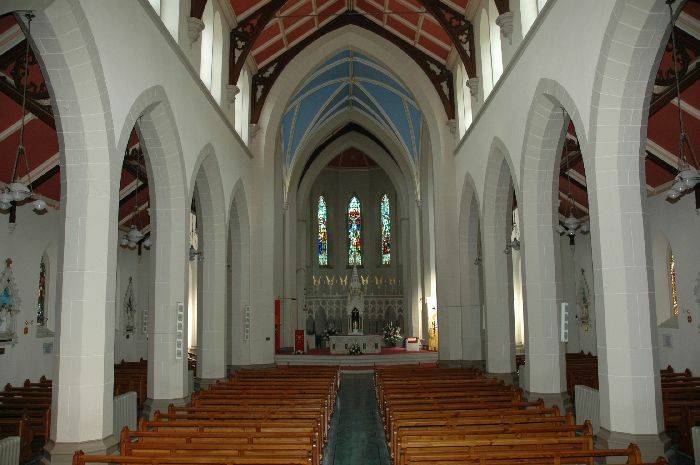 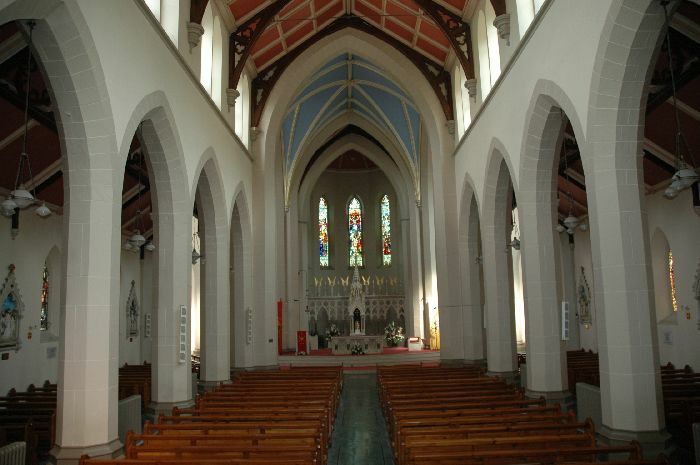 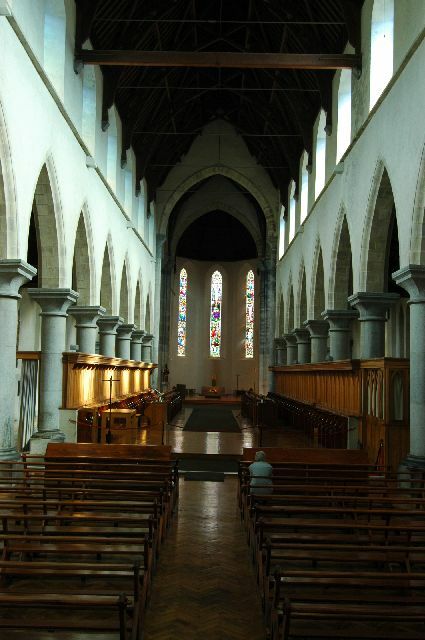 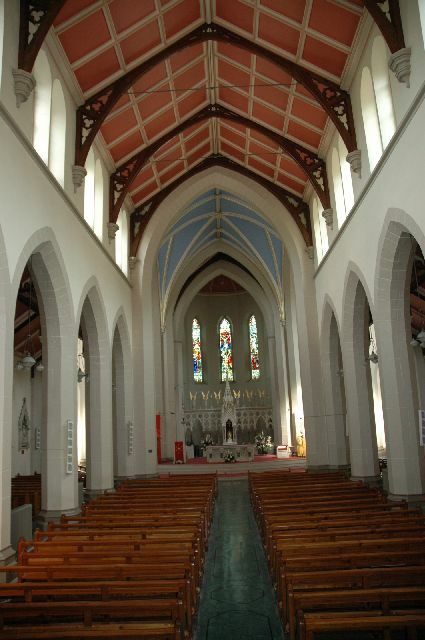 The Church was dedicated in 1855, and its interior decoration was completed later to a design by J. J. McCarthy. 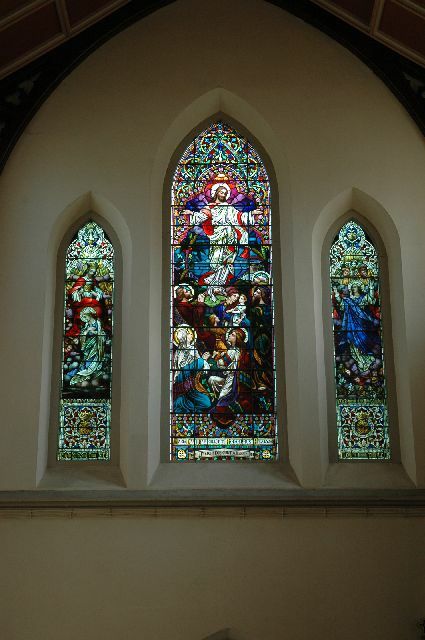 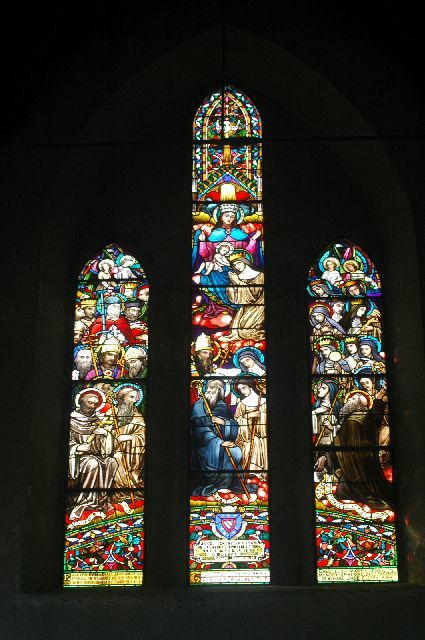 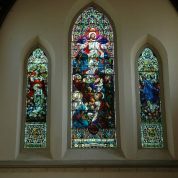 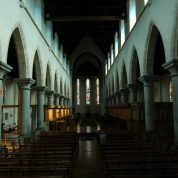 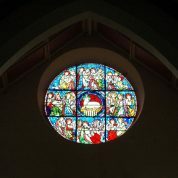 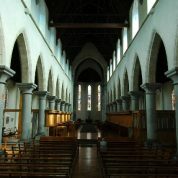 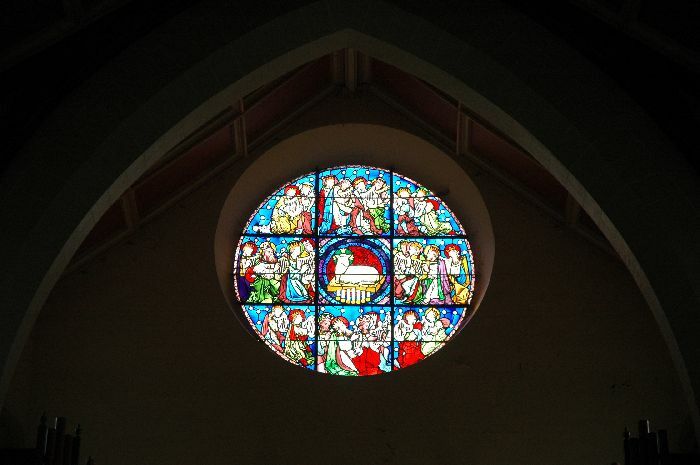 The stained glass windows in the church are by Mayer of Munich and Early of Dublin. 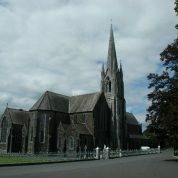 The church as finally consecrated by Bishop Rodgers in 1957. 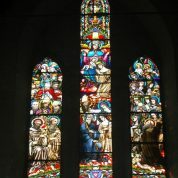 The stained glass windows in the church are by Mayer of Munich and Early of Dublin. 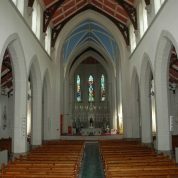 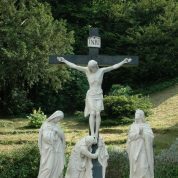 In 1975 the sanctuary was re-ordered in line with the requirements of the Second Vatican Council, in a sensitive arrangement by Percy Leclerc that preserved the harmony of this beautiful church. 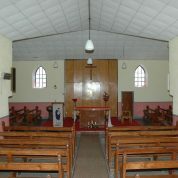 The church was completely refurbished in 2011. 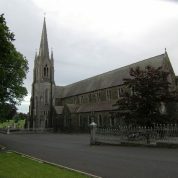 The Church of St. John the Baptist at Camblin was built either in the last years of the eighteen century or the very early years of the nineteenth. 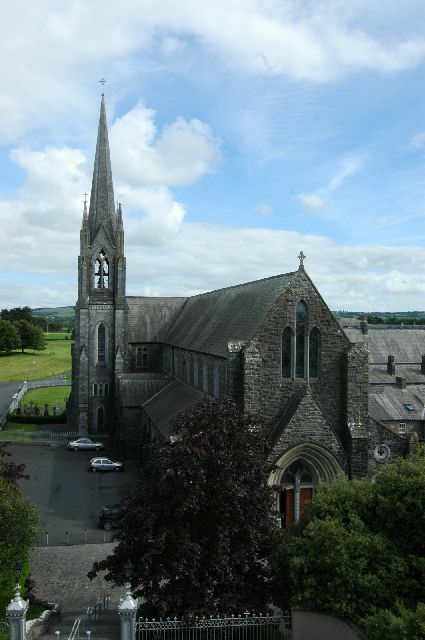 At that time Camblin was in the Corbally part of Corbally and Bournea parish, before the major boundary change of 1846 which saw it transferred to Roscrea. 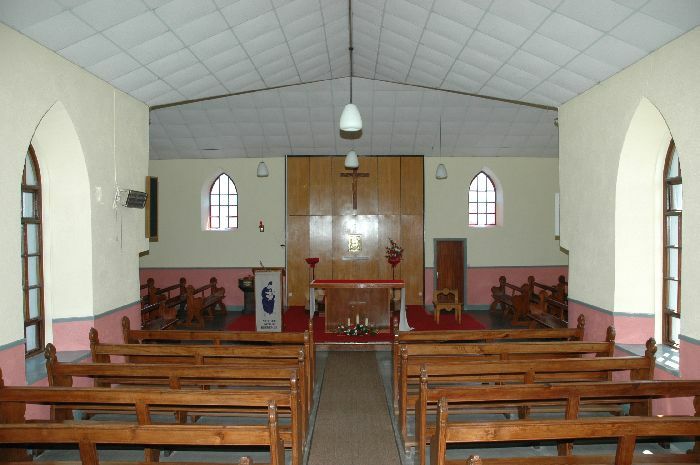 In the 1970’s major renovations were carried out which made Camblin Church a fitting place of worship. 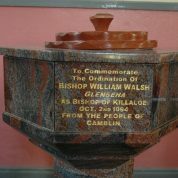 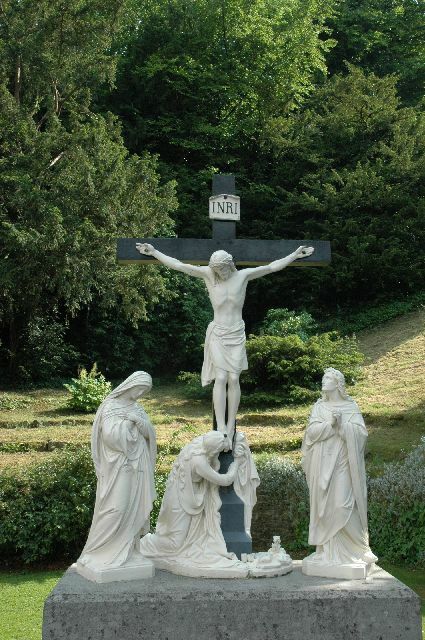 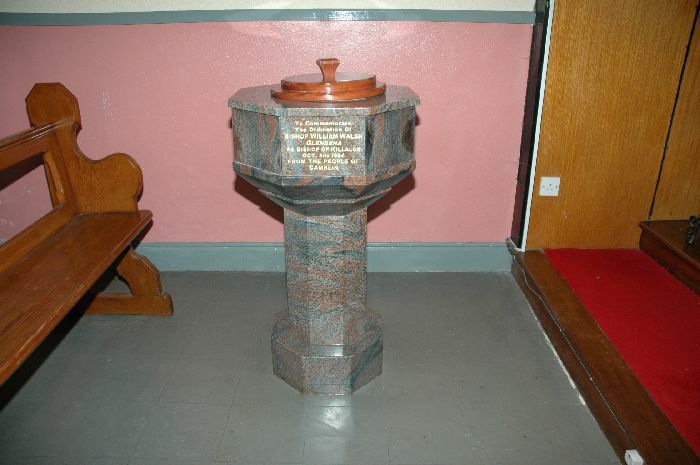 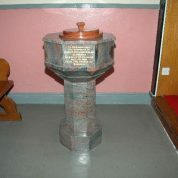 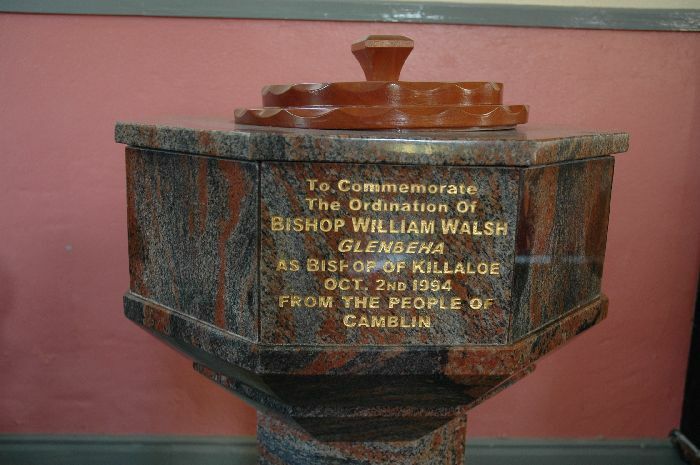 In 1994 the installation of Bishop Willie Walsh, a native of Glenbeha, Camblin, was marked by the presentation by local people of a marble baptismal font to the church. 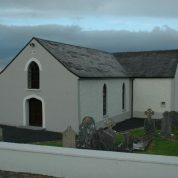 In 2009 some perimeter wall was added and the cemetery increased in size.